We all know David Beckham for his talented skills on the soccer field but he's also a huge player in the fashion arena, in addition to being a great father. There is plenty of excitement over his swimwear partnership with H&M in which he claims--as reported by India Today--that old Bond movies and Sean Connery in 'Dr. No' were definitely some heavy influences. The line includes three various styles: a thigh length swim shorts, longer board shorts, and of course the ever revealing Beckham speedo. According to Women's Wear Daily, Beckham has hopes to start a sportswear collection and has been in touch with Li&Fung (a Hong Kong based company) discussing his future aspirations. He's clearly no stranger to the fashion world having collaborations with Adidas and a fragrance with Coty. 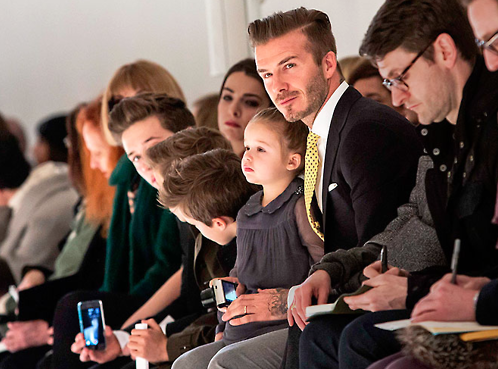 So maybe there will be some friendly competition between Beckham and his wife Victoria over who dominates the runways. 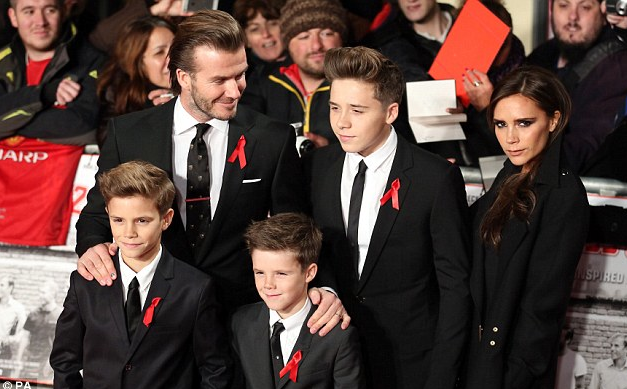 Together they have four gorgeous kids Brooklyn, Romeo, Cruz, and Harper. The two older sons are already modeling. So is it possible to say he will have some future prospects in the casting calls to come?